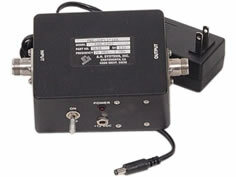 Here is THE ORIGINAL, an icon for over 30 years. 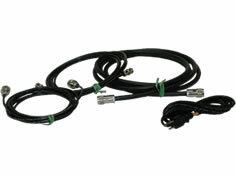 This antenna kit is one of the best known in the world, and for good reason. 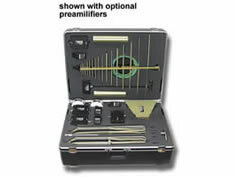 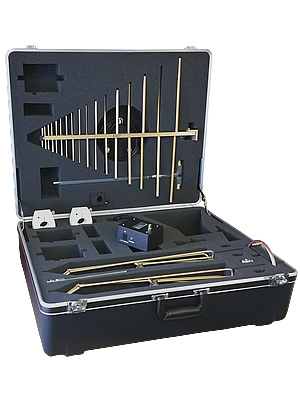 With enough antennas to complete most common types of testing, this basic set of antennas is the standard for EMC testing, and each antenna fits nicely into one portable suitcase. 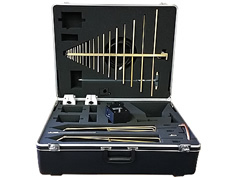 Included in this kit is a Log Periodic Antenna, Folding Biconical Antenna, Active Monopole Antenna, Loop Antenna and two Current Probes and the required Cables and Adapters to connect to a N(f) receiver. 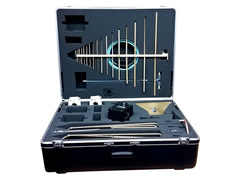 A Tripod with Azimuth and Elevation Head and a Tripod Carrying Case also accompany this awesome antenna kit. A basic set of antennas for general purpose testing up to 2 GHz.